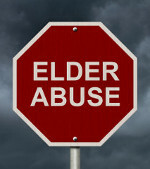 Elder abuse is a growing problem. Regrettably, no one really knows all of the details about why abuse occurs or how to break the cycle. Yet we do know that help is available for victims. Concerned people, like you, are asked to spot the warning signs of a possible problem, and make a call for help if an elder is in need of assistance. Learn more by reviewing the information about each form of abuse displayed in the menu or click the links.